Last year the United Nations adopted its post-2015 agenda, setting out 17 Sustainable Development Goals (SDGs) to tackle contemporary global challenges by 2030. One of them was to halve per capita food waste at the retail and consumer level by 2030, and reduce food losses along the food production and supply chains. According to the latest data, 70% of EU food waste arises in the household, food service and retail sectors, with the production and processing sectors contributing the remaining 30%. In a recent interview with EURACTIV, former European Commissioner for Environment Janez Potočnik said that the transformation of our current economic model could bring great opportunities both for our economies and for our quality of life. 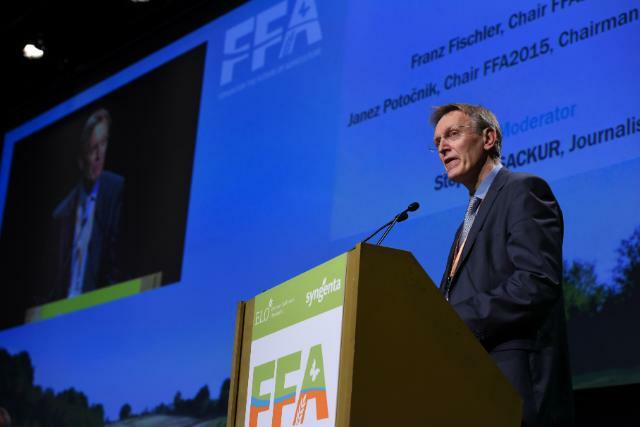 Every food producer should help make agriculture sustainable, Janez Potočnik told EURACTIV.com. “Whilst the Sustainable Development Goals are designed to benefit the entire world, all countries have the responsibility to make the plan a reality and their achievement should be at the very heart of European policy development,” he said. Food waste takes centre stage in the EU’s ambitious Circular Economy plan, which includes legislative proposals on waste to stimulate Europe’s transition towards a circular economy. The Communication on Circular Economy called on the Commission to establish a platform dedicated to food waste prevention bringing together member states and all actors in the food chain. 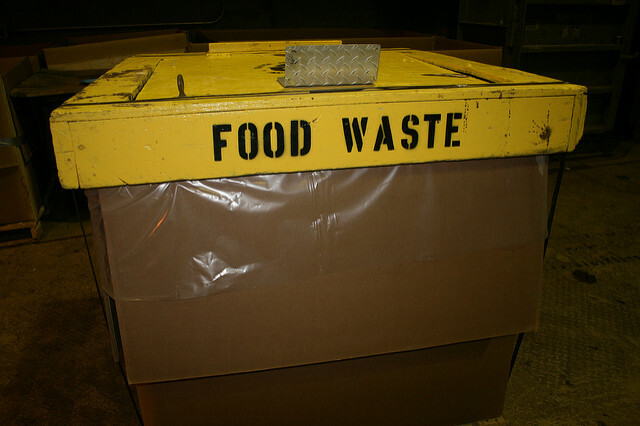 According to the EU executive, approximately 88 million tons of food are wasted annually in the EU, with associated costs estimated at €143 billion. 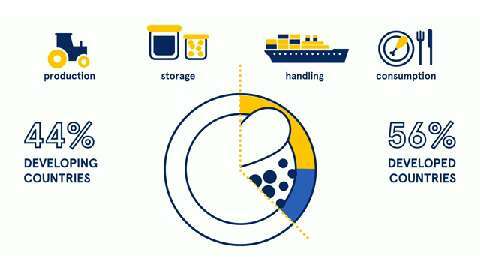 The EU Platform on Food Losses and Food Waste (FLW) aims to support all actors in defining measures needed to prevent food waste, sharing best practice and evaluating the progress made over time. The FLW Platform is an informal Commission expert group, which will be composed of a maximum of 70 members representing the public and private sectors. It will include competent authorities from member states, EU umbrella organisations and federations involved in food waste prevention, NGOs, and EU bodies (e.g. Committee of Regions). Chaired by a representative of the European Commission, the Platform will meet at least twice a year. Its main goal will be to assist the Commission “in identifying and prioritising actions to be taken at EU level in order to prevent food losses and food waste”. It will also help other member states identify and implement appropriate actions to take on a national, regional and local level. 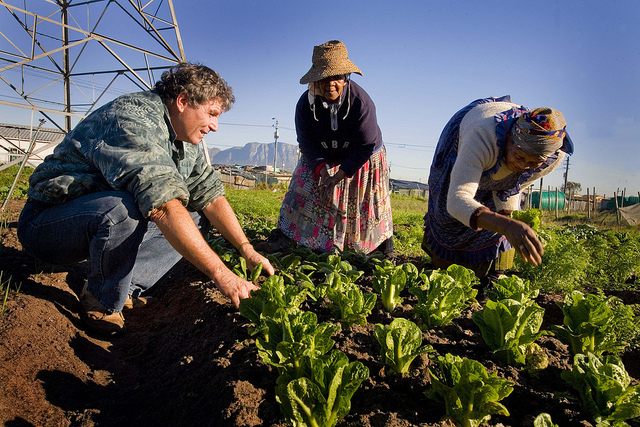 In 2050, over 9 billion people will live on this planet and feeding them will be a challenge. Increasing food availability has always been the main solution to achieve a food secured future. According to the terms, the Platform will adopt its opinions, recommendations or reports by consensus. In the event of a vote, the outcome of the vote shall be decided by simple majority of the members with those who have voted against shall have the right to have the reasons for their position recorded in the meeting report. Annabelle Williams, managing director of RISE Foundation, an independent foundation whose main objective is to support a sustainable and internationally competitive rural economy across Europe, welcomed this “next step” in the EU Action Plan for the Circular Economy. “The COP 21 Paris Agreement on Climate action and the Sustainable Development Goals have helped highlight the urgent need for systematic change in our food production and consumption systems,” Williams told euractiv.com. She added that the only way to address the unacceptably high levels of food waste in Europe is to bring stakeholders together from across the food chain. Stakeholders do not work in isolation, she said, but are rather part of a highly complex and inter-dependent chain, so systematic change can only come about if it is collective. “From the production perspective, we need strong policy development that targets investment in innovation, knowledge transfer and structural change to help farmers to adapt their farming practices and become more resource use efficient,” she said. “But we also need a greater investment and acceptance in managing unavoidable waste more effectively and so enabling the return of scarce nutrients back to our soils and the reduction of environmental pollution,” she added. Milan’s Mayor, Giuliano Pisapi, recently told EURACTIV that food was at the core of some of our greatest problems, but at the same time, a vital part of their solution. “That’s why 120 cities from all over the world have signed the Milan Urban Food Policy Pact, joining forces to build more sustainable urban food systems,” he stressed, adding that improving urban areas’ food culture and food systems will be fundamental in the next decades. “It is therefore crucial that urban food strategies become a priority theme not only in the European Union, but at the global level. In October, in Quito, the New Urban Agenda will be adopted. 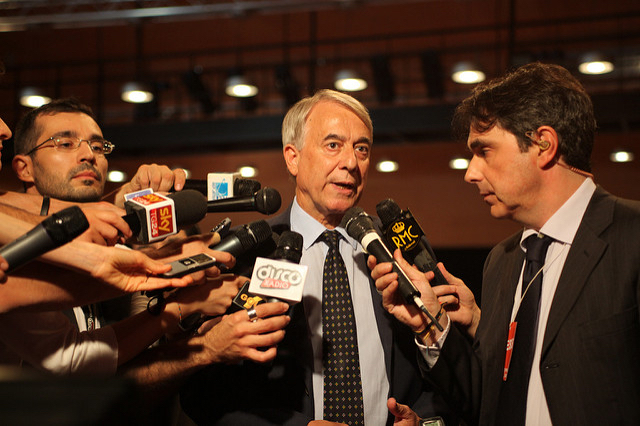 We shall not lose the opportunity to change the future of our cities starting from food,” Pisapia added. Cities across the world should improve their food culture and systems in order to adjust to the planet’s contemporary needs, Milan’s Mayor, Giuliano Pisapia, told EURACTIV.com.